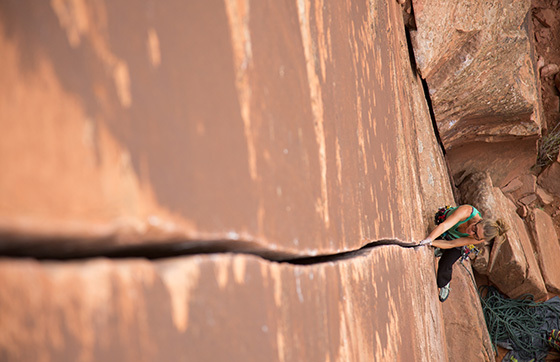 Professional rock climber Kate Rutherford has spent the last decade “traveling like a crazy person” to reach some of the most remote, beautiful, and extreme environments on the planet. There’s only one thing about that she regrets: it’s tough to grow food in an Airstream trailer. 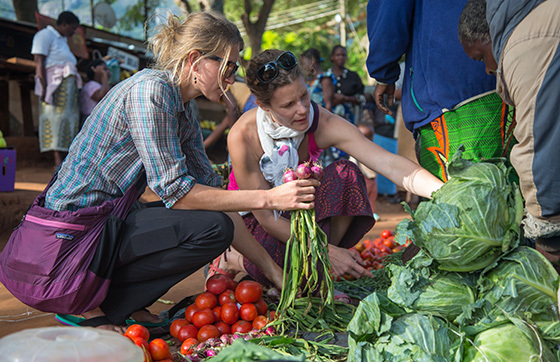 Sustainable food has been part of Kate’s life since she was young. As a child, she lived on a homestead in rural Alaska, where hunting, fishing, and growing vegetables were part of daily life. 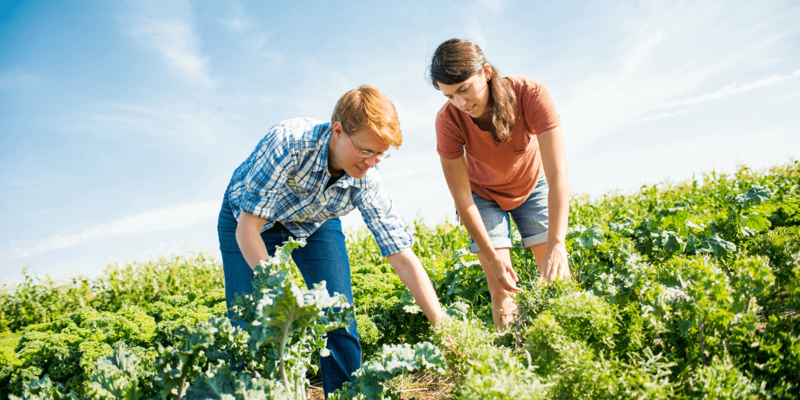 Today, she’s translating that experience into advocating for environmental stewardship at every level, from reducing our dependence on fossil fuels, to supporting organic agriculture practices that keep workers and landscapes safe. What motivates you to be active in environmental conservation? 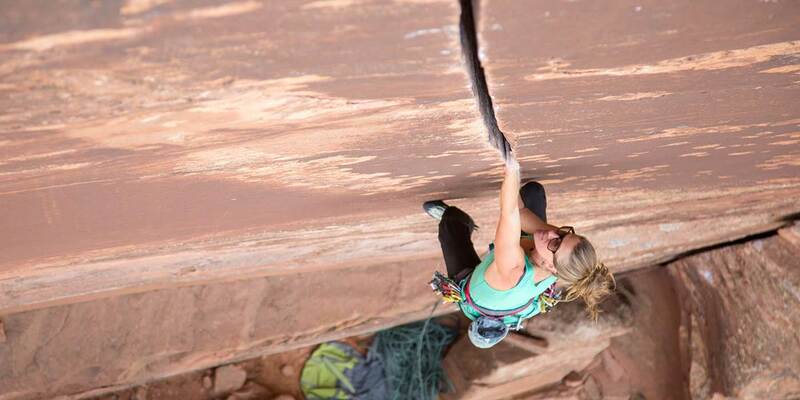 As a professional climber, I feel like I’m being selfish. I go out and climb rocks every day. It’s not necessarily bettering the world. So it’s wonderful to be using my climbing legs as a soapbox to inspire people to protect the landscape via not poisoning it with pesticides. I have always found landscapes to be the most beautiful thing. All I want to do is go be part of these beautiful landscapes, whether it’s El Cap, or Cerro Torre in Patagonia, or Mt. Rainier, these big, beautiful, striking landscapes are where I want to spend all my time. So being a climber has given me an excuse to go explore all these landscapes and be really intimate with them, to use my body to get into these wild places and spend a couple days on the side of a wall. I feel like everybody needs and deserves that kind of awe-inspiring beauty and relationship with the landscape, and it just doesn’t exist in a paved parking lot. We evolved from hunter-gatherers, there is a part of our bodies that realizes we are really connected to the earth, and it’s getting paved over and polluted fast. I was just born integrated into the landscape, so I never want it to change. I don’t want to see it destroyed for the next generation. I am pretty easy going when it comes to eating things. I’m on the “everything in moderation and eat what sounds good to me whenever I want” program. But, I know that if I eat cheap, processed, sugary foods, I feel terrible. And if I feel miserable, it really lowers my performance. And makes me grouchy! I really appreciate having simple, whole, real food when I’m out climbing, and Clif is one of the companies that does that. Ideally, I don’t have to eat bars all the time—I’d rather eat a sandwich—but it turns out that in the mountains you need something you can put in your pocket. CLIF Bars are an important part of my life. I have to eat them a lot because of the places I go, so I care that they are whole, real foods that I understand—I don’t have to recall organic chemistry. Why do you seek out organic foods? I feel very connected to the organic community, even though I’m on the road all the time and don’t have a garden in my Airstream. Sustainable food has always been a core value in my family. My parents have a little organic CSA. My dad is still a fly fishing guide in Bristol Bay. I just went up to visit him a couple years ago. You cook the fish you catch, the water is so clean, the food is so fresh. It’s really inspiring to have that level of connection with your food, to really care about it. I also think a lot about the impact of agriculture on the environment, on growers, and on eaters. I think buying organic is one of the ways I can really vote with my dollars. Eliminating pesticides and encouraging organic and biodynamic growing is something tangible that I can do, and encourage others to do to.